Nitric Oxide scientifically known as arginine-alpha-keto-glutarate (AAKG) is a relatively new product to the sports nutrition industry. Although there is now brief conclusive evidence as to the effect of the product, the range of findings is significantly less than that of other supplements such as creatine and BCAA's. The common theory behind nitric oxide is that it increases blood flow to the muscles which in turn helps to deliver and transport blood and nutrients more adequately to these working muscles. This is then thought to be an effective way to enhance skeletal muscular hypertrophy as well as increasing ones recovering capabilities, all of which have been theorized to enhance human performance. Technically, nitric oxide is a free form gas that is produced in the body and is used to communicate with other cells. To produce this gas, enzymes in the body break down the amino acid Arginine. The production of Nitric Oxide occurs when the amino acid, L-arginine is converted into L-citruline through an enzyme group known as Nitric Oxide Synthase. A recent study at Baylor University's (Texas) Exercise and Sports Nutrition Lab examined the effects of AAKG supplementation during training on body composition and training adaptations in experienced gym rats (16). Thirty-five resistance-trained males were matched according to fat-free mass and randomly assigned to ingest supplements containing either a placebo or commercial AAKG supplement in a double blind manner. Subjects took four grams of the supplements three times daily (12 grams per day) for eight weeks during standardized training. There were no significant changes in body mass or body composition. However, there were significant changes in strength levels. The bench press one repetition maximum (1RM) was greatly increased over the eight week period for the AAKG group. Specifically, AAKG supplementation helped subjects add an average of 13 pounds to their bench press max over the placebo group during the eight week testing period. It may be interesting to note that, although body composition did not change during the study, a longer duration experiment may have shown an increase in lean muscle mass for the AAKG group. In fact, muscle mass is often accompanied by changes in strength as seen in most studies, but may take as long as 12-16 weeks to fully maximize physiological responses and processes in terms of muscular hypertrophy (18). This study shows that AAKG supplementation may augment 1-RM strength in response to training, but does not appear to significantly affect body composition. However, it could be argued that such a significant increase in strength levels would eventually lead to increased muscle hypertrophy if the testing period would have continued for an extended period of time. For over a decade now, arginine, which is a critical ingredient for nitrous oxide, has been hypothesized as having a positive effect on growth hormone in the human body. Suminski et al (82) sought to discover the legitimacy of these claims. In this particular study, 16 men were randomly assigned to four different groups using varying combinations of exercise and arginine. It was concluded, based on the ending research of this study, that the amino acid formula containing high amounts of arginine had a positive effect on increasing basal levels of growth hormone. Since arginine is the foundational element of nitric oxide, it can be safely theorized that arginine may have an anabolic effect on the human body by increasing levels of nitric oxide and growth hormone. 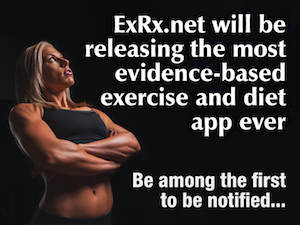 One of the oldest studies related to nitric oxide was done by Elam et al (19) in which subjects who received a form of nitric oxide supplement produced greater total gains in strength and lean body mass while on a high intensity strength training program compared to a placebo group on the same exercise regime over the same five week period. Of further interest in this study was that nitric oxide also enhanced recovery from chronic stress by decreasing tissue breakdown as shown by lower urinary hydroxyproline (UH) levels. It also appears that from certain studies done by Friedl et al (20), higher levels of nitric oxide in the body are correlated with enhanced immune function. In another study by Nagaya et al (21), the supplementation protocol required that each subject consume 1.5 g of arginine per 10 kg of body weight per day for 7 days. A significant increase in peak oxygen consumption was observed. A possible mechanism to describe this increase in performance is the role that arginine has in augmenting nitric oxide. An increase in nitric oxide bioavailability results in coronary vessel vasodilatation and flow, which in turn, may positively influence coronary function. Another interesting fact to note as reported by numerous supplement companies is that nitric oxide acts to reduce inflammation. This should be of great interest to bodybuilders as it has the potential to reduce the pain associated with subjecting muscles to extreme stress. It has also been reported that nitric oxide may also affect the release of adrenaline from the adrenal medulla. However, many of these claims have not been negated or proven under scientific methods. Therefore, more research is needed to help finalize these theories. From the proceeding findings, it can be seen that AAKG supplementation holds some promise for bodybuilders and other strength-power athletes. AAKG appears to augment 1-RM strength in response to training. Furthermore, AAKG does not appear to adversely affect general markers of health. Again, more research is needed before firm conclusions can be drawn. The problem with AAKG, is that excessive production of Nitric Oxide, whether through the exogenous use of one or more of arginine, and nitrates/nitrites may depress endogenous testosterone production since nitric oxide inhibits Leydig cell steroidogenesis (22-25). Because of the lack of findings of proper dosages for AAKG, the temporary recommendations are 2000mg-6000mg per day are generally accepted by scientists and physiologists. However, it should be noted that with any amino acid containing product, overdose is a possibility. Dosing with too much arginine can lead to diarrhea, weakness and nausea. Clear dosing guidelines have not been established, so it is best to do what is known as "tolerance mapping" (26). Begin with small dosages and slowly increase the amount to build up tolerance while at the same time taking note of any improvements, plateauing, or side effects. Nitric oxide has received positive feedback from several scientific studies. Nitric oxide (AAKG) offers increased levels of strength, increased levels of growth hormons, enhanced blood flow to the working muscles, and enhanced immune function. There is little evidence to substantiate a valid argument for increasing muscle hypertrophy through AAKG supplementation. So while dramatically increasing nitric oxide in the body has some benefits, and provides more of a pump when training giving the impression that it's a potent ergogenic aid, its detrimental effects on testosterone makes the use of nitric oxide supplements containing one or more of large amounts of L-arginine, L-arginine precursors, nitrates and nitrites counter productive for muscle hypertrophy, body composition and athletic performance. Dosage recommendations vary widely for AAKG due to a lack of standardized supplementation routines among scientists. However, the common recommendations range anywhere from 3-30 grams a day. AAKG is best absorbed on an empty stomach and split up 2-4 times throughout the day before or after meals. Morning, pre, and post workout are also quality times to consume AAKG. Large doses of 30 grams or more have not shown any negative side effects or toxicity and have even shown positive attributes. According to consumerlab.com and other sources, some of the higher quality forms of nitric oxide on the market include: BSN Nitrix, NxLabs Vaso XP, Syntrax Nitrous, CytoSport Fast Twitch, Xyience XNO, Progressive Laboratories Arginine, Nature's Harmony L-Arginine, Controlled Labs White Flood, and Gaspari Nutrition SuperPump250. 16. International Society of Sports Nutrition Conference Proceedings. Sports Nutrition Review Journal, 1: S1-11, 2004. 17. Manninen, H. Supplement Performance: Nitric Oxide Boosters. Cutting-Edge Data from ISSN Conference Proceeding. 2005. 18. Baechle, T., Earle, R., Essentials of Strength Training and Conditioning. National Strength and Conditioning Association. 2000. 19. Elam RP, Hardin DH, Sutton RA, Hagen L. Effects of arginine and ornithine on strength, lean body mass and urinary hydroxyproline in adult males. J Sports Med Phys Fitness. 1989 Mar; 29(1): 52-56. 20. Friedl R, Moeslinger T, Kopp B, Spieckermann PG. Stimulation of nitric oxide synthesis by the aqueous extract of Panax ginseng root in RAW 264.7 cells. Br J Pharmacol. 2001 Dec; 134(8): 1663-70. 21. Nagaya N, Uematsu M, Oya H, Sato N, et al. Short-term oral administration of L-arginine improves hemodynamics and exercise capacity in patients with precapillary pulmonary hypertension. Am J Respir Crit Care Med. 2001; 163: 887-891. 22. Drewett JG, Adams-Hays RL, Ho BY, Hegge DJ. Nitric oxide potently inhibits the rate-limiting enzymatic step in steroidogenesis. Mol Cell Endocrinol. 2002 Aug 30;194(1-2):39-50. 23. Panesar NS. Is steroid deficiency the cause of tolerance in nitrate therapy? Med Hypotheses. 2000 Oct;55(4):310-3. 24. Panesar NS, Chan KW. Decreased steroid hormone synthesis from inorganic nitrite and nitrate: studies in vitro and in vivo. Toxicol Appl Pharmacol. 2000 Dec 15;169(3):222-30. 25. Andric SA, Janjic MM, Stojkov NJ, Kostic TS. Testosterone-induced modulation of nitric oxide-cGMP signaling pathway and androgenesis in the rat Leydig cells. Biol Reprod. 2010 Sep;83(3):434-42. Epub 2010 May 12. 26. Bodybuilding.com. NO Nitric Oxide Info And Products. 2006. 27. MauroMD.com, Questions & Answers. 2011. 82. Suminski RR, Robertson RJ, Goss FL, Arslanian S, Kang J, DaSilva S, Utter AC, Metz KF. Acute effect of amino acid ingestion and resistance exercise on plasma growth hormone concentration in young men. Int J Sport Nutr. 1997 Mar; 7(1): 48-60.